In 2016, the county approved an urgency permit for CFAM Management’s 49,000 cannabis plant indoor grow at the former Clearwater Nursery in Nipomo. In July 2017, county employees inspected the site and found approximately 225,000 plants, the first in a series of county enforcement violations. Since 2017, county inspectors have documented multiple violations for unpermitted structures, unpermitted electrical work, manufacturing violations, failures to abide by plant count restrictions, and multiple confirmed odor violations. Even though county inspectors repeatedly noted the ongoing violations at the CFAM Management site, little enforcement action was taken. On Nov. 28, 2018, the planning commission approved CFAM Management’s request for a conditional use permit for 22,000 square feet of indoor cultivation, 264,632 square feet of nursery plants, a 4,284 square foot tissue culture lab, and a 42,797 square foot drying and processing area. 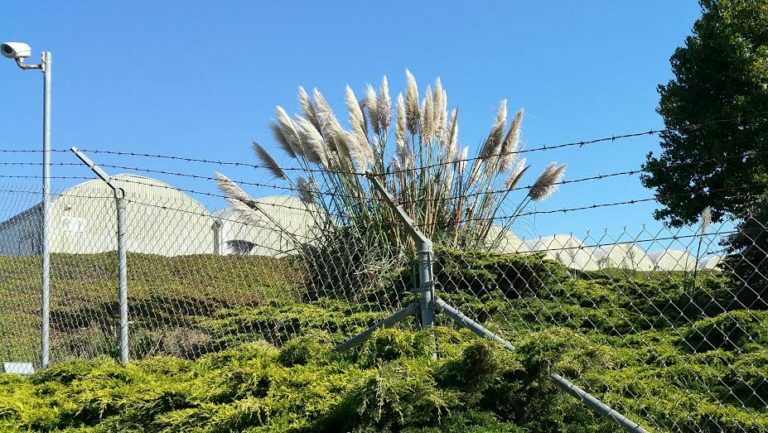 A month later, a group of neighbors appealed the permit approval primarily because of the noxious odors the facility emits. On March 13, state investigators served a criminal search warrant at the CFAM Management site at 887 Mesa Road in Nipomo. Because of the ongoing investigation, Georgia Henry, CalCannabis cultivation and licensing outreach coordinator, said she could not comment on the reasons for the raid. Rows of greenhouses at the CFAM Management site. On Tuesday, the SLO County Board of Supervisors is scheduled to hear three cannabis cultivation permit appeals, including the appeal of the CFAM Management project. All three projects are located within a two mile area on the Nipomo Mesa. As a daughter who mother suffered from dementia, all I feel is gratitude for businesses such as these. She suffered from paranoia, and was so scared and anxious, she wouldn’t eat or sleep. “Medibles” practically cured those symptoms overnight once we discovered them. She was calmer, ate entire meals, and slept regularly. My parents ran a crane repair business for years in Bakersfield. In 1995, a small dispensary set up across the street from our business. It had ZERO affect on our business. In fact, their security guards made sure Bakersfield’s healthy population of homeless and tweekers stayed away from our business at night. Before that business, the local law authority didn’t give 2 cents about crime in our area. After, we had all kinds of Police on patrol. They weren’t there because of the pot shop. They we’re there to make sure John Q.Public saw “they we’re on the job” protecting us from evil potheads. Please. And the joker’s comments before my post about his “friends” getting dumber and lazy and forgetful: HE clearly need new friends and I doubt he even knows a “toker”. The few I went to college with were geniuses, are still mainstream, and living nice normal lives in Albuquerque, Portland, Palm Springs, Seattle, Fairbanks. They are NOT on the streets nor homeless. That’s alcohol or prescription drugs. Or tweekers. So it helped your mom because she had ailments …..What do you think it does to people who don’t have ailments ??? All I can say is my friends that smoke or dab or whatever involving weed I’ve known last 10 years or so ….are getting dumber and dumber everyday .They are 3 to 8 hours late for appointments …Vehicle accidents also very common among them …..They can hardly find anything in their house or garage etc etc … So I have not seen anything positive happening surrounding their activities from the use of weed .